Dark walnut and a travertine counter top provide a lovely contrast that will blend well in a variety of spaces. 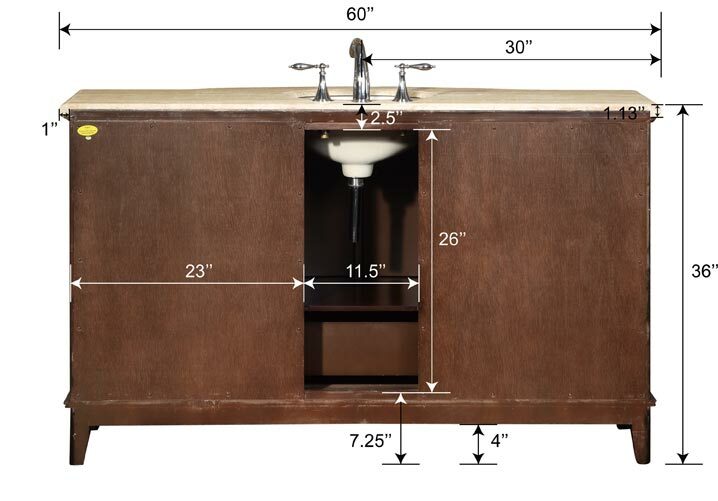 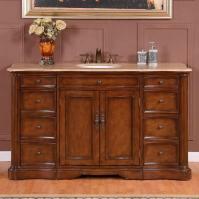 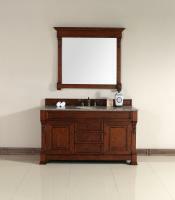 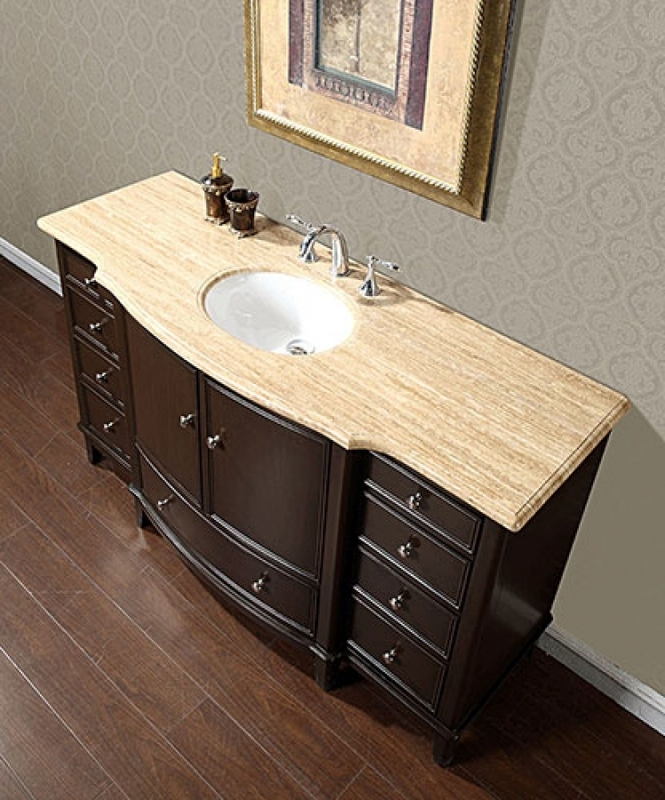 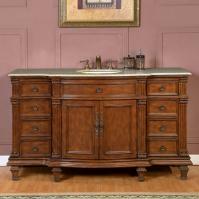 The large single sink vanity offers 9 drawers and 2 doors for plenty of storage including brushed nickel knobs. 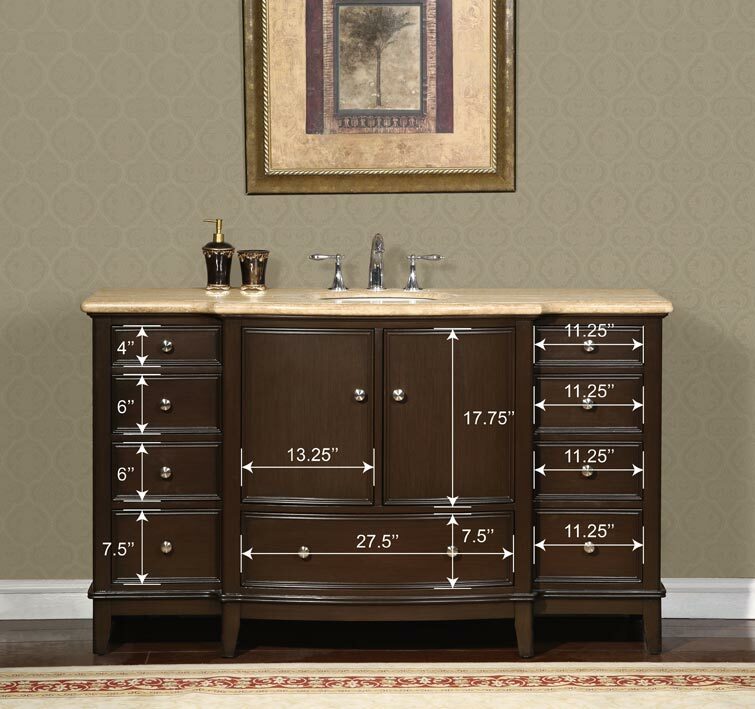 Comes fully assembled, fixtures sold separately.